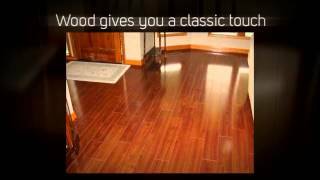 What Type of Sugar Land Flooring to Choose for Home? If you are proud owner of a tasteful residence in Sugar Land, you have the right reasons to select the unique range of world class options in flooring in Sugar Land TX. If you have ever been to a good flooring showroom in Sugar Land, you will be convinced of the elegance and varieties offered by Sugar Land TX custom floors. Made to delight and add touches of perfection to your own home, leading Sugar Land flooring stores are offering great services in installation, repairs, or maintenance. Making your home rejuvenated becomes easier with the vast choices and the reasonable rates offered by leading companies such as Inspired Floors, a leading flooring showroom in Sugar Land. Selecting the right type of flooring is an informed decision to be made by homeowners. Get the most out of your selected flooring showroom in Sugar Land TX by asking for all the critical information before moving on to selecting either laminate flooring, tile flooring, engineered wood flooring or wooden flooring in Sugar Land TX. Wooden flooring in Sugar Land TX is best suited for homes where a unique classic touch is required. You can opt for this type of flooring if you have the right budget and resources to keep up and maintain its good looking texture. Wooden flooring requires you to take good care of it, in order to maintain its shine and rich look. Occasional re-sanding and re-finishing makes it easier to maintain wooden floors. Tile flooring in Sugar Land TX is another great choice for home makers who want to have good looks combined with less maintenance. It becomes very reasonable to have your laminate floors to get cleaned with water and mild soap. Leading companies in Sugar Land TX such as Inspired Floors are ready to install custom flooring in Sugar Land TX according to your choices, budget and preferences. Talk to us today to get a new look to your floors.